Neymar is a professional football player who plays mostly as a forward or winger for the Brazilian National team and for FC Barcelona in the La Liga. Neymar was born on February 5, 1992 at Mogi das Cruzes, Sao Paulo. 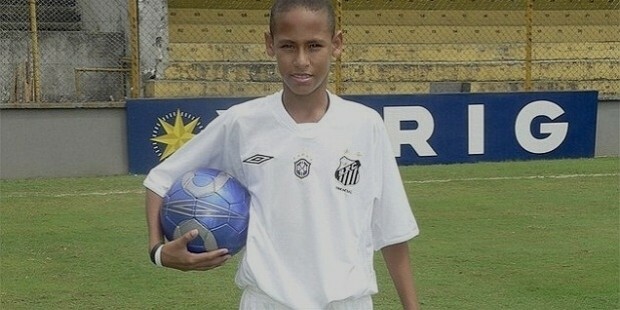 In 2003, Neymar started playing for a youth team called Portuguesa Santista.Seeing his talents at the club, Santos FC were looking to bring him to their team. Soon Neymar and his family decided to move to Santos, and Neymar joined Santos FC. At the age of 14, Neymar travelled to Real Madrid to be part of their youth team but decided to stay at Santos when they offered him a bonus. Soon Neymar began gaining more game time and moulding the vast amount of raw talent that he possessed. Soon he made his debut at the age of 17 on March 7, 2009 against Oeste. In the first season Neymar was given the opportunity to play 48 games in all competitions combined. He made full use of this opportunity to score 14 valuable goals and help cement his place in the team. In the year 2010, Neymar contributed by scoring 14 goals in 19 matches helping his team win the Campeonato Paulista league comfortably. For his performance he was given the best player of the league award. Because of his impressive performances soon international clubs were looking for the chance to buy him. 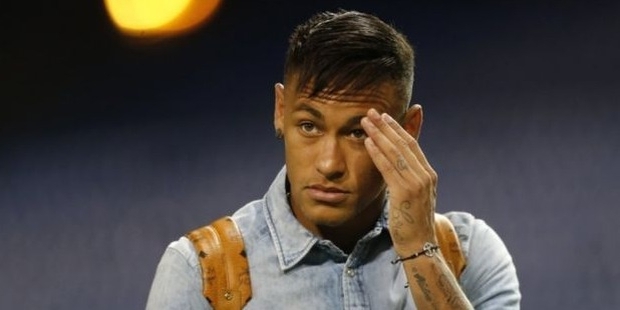 But Santos did not allow Neymar to be transferred to any other club. They increased his pay by 50% making it on par with what European team pay scales. Neymar helped the team win the Campeonato Paulista in 2011 and took them to the finals of the FIFA Club World Cup. 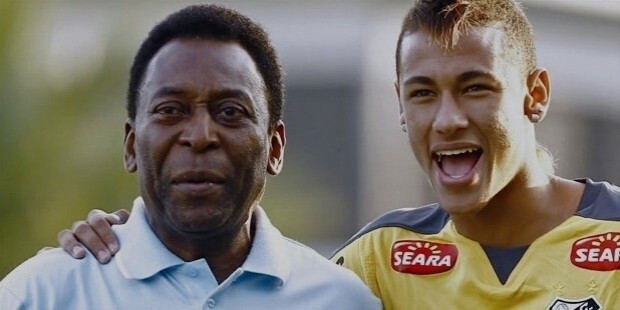 For his contributions he was awarded the 2011 South American footballer of the Year Award. Again in 2012 he took them to their third consecutive league triumph. On his 20th birthday he had the achievement of scoring his 100th goal. Again he was awarded the 2012 South American footballer of the Year. 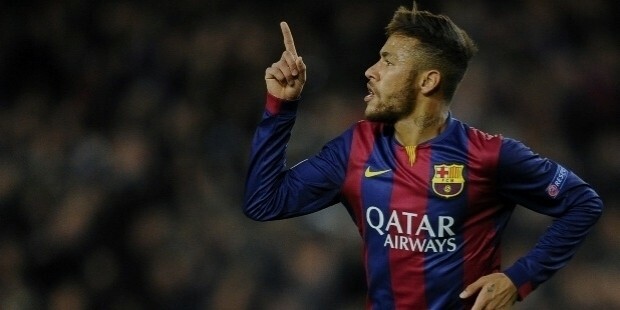 Now Neymar was the undisputed No.1 player in Brazil and some rated his skills to among the best footballers in the World. On June 27, 2013 Neymar signed a five-year contract with FC Barcelona. The transfer fee of 57 million Euros was the 10th highest overall. Neymar’s dream of playing in Europe had come true so soon. At Barcelona he was in company of Lionel Messi, Andreas Iniesta, Xavi Hernandez, Pique who were some of the best players in the world. Neymar had an impressive career playing for his national team Brazil as well. He made his debut against the United States on August 10, 2010. He met with success in his very first match as scored after just 28 minutes of play. He became a regular player in the team and much of the scoring responsibilities rested on him. In the 2012 Olympics he scored 3 goals to help the team win the silver medal. In the 2013 Confederations Cup in Brazil, there was huge pressure on Brazil to win and especially on Neymar. He impressed everyone with his performance of 4 goals. He came good in the crucial moments and thus won the Golden Ball Award for the Best player. Today his success and fame have made him one of the most recognisable people on the planet. At the young age of 21, he has been compared with players like Pele and Ronaldo. His playing style and attacking play have made him a fan favourite throughout the world. Today he is also the number one marketable athlete on the planet. He already had sponsorships from companies like Nike, Panasonic, Santander, Volkswagen and many more. This star has his best years ahead of him and we should not limit our expectations to the heights he can reach.